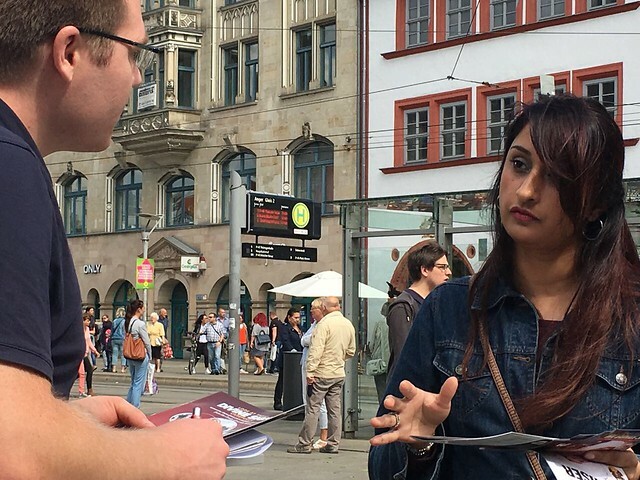 About a week ago, members of Messiah Foundation raised awareness of the message of divine love and global peace in Erfurt, Germany! The overall response from the public was fantastic. It was a huge success for our team. They distributed hundreds of leaflets in local town stores, cafes, shopping centres and busy streets. People of all ages, young and old alike, appreciated our message and were delighted to hear about unprecedented universal teachings of His Divine Eminence Gohar Shahi.